Santoni is synonymous of luxury shoe, handcrafted, made out of the Marche, on the Adriatic Coast of Italy. Born in 1972 from the passion of Andrea and Rosa Santoni. While other manufacturers of the era would pride themselves on quantity, Santoni was focused staunchly on quality. Santoni stands for manual cutting and care of leather, extreme attention to quality, craftsmanship and the historical experience of the courage of the trial. Every process is overseen with impeccable quality control. Each leather is selected and inspected by a backlit magnifying lens, where only the finest are kept. Truly hand stitched and as close to bespoke as a shoe could get, they exemplify Italian craftsmanship. It is commitment to quality that keeps this family owned business on the forefront of men's fashion. Today, Santoni says “thanks to the perfect combination of traditional production techniques, as the ability of making entirely made-to-measure shoes, and the evolution in research and design. Peculiarities that a sophisticated customer, who always chooses the best for himself and is updated on the evolution of style, is attracted to. Modern attitude married to ancient knowhow.” This is a legacy that is guarded by the craftsman masters, some of which have worked with the company since 1975. These individuals have truly witnessed the turn of Santoni from a local workshop into a reference brand and kept alive the original passion for extreme quality and beauty. At UWM Men’s Shop we are proud to carry the Santoni brand. 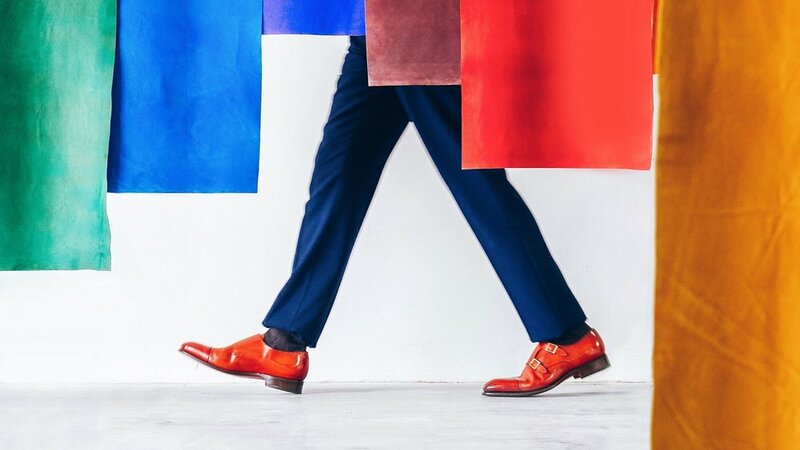 Like Santoni, we pride ourselves on carrying only the finest, on classic construction, and on being fashion forward. They are the perfect compliment to a well tailored suit, a sport coat with slacks, or paired down with denim and a polo. They are a fantastic piece to add to your wardrobe. Stop by the shop today to try Santoni for yourself.